This large Cotton Curl with metal core is ideal for medium to large sized parrots. 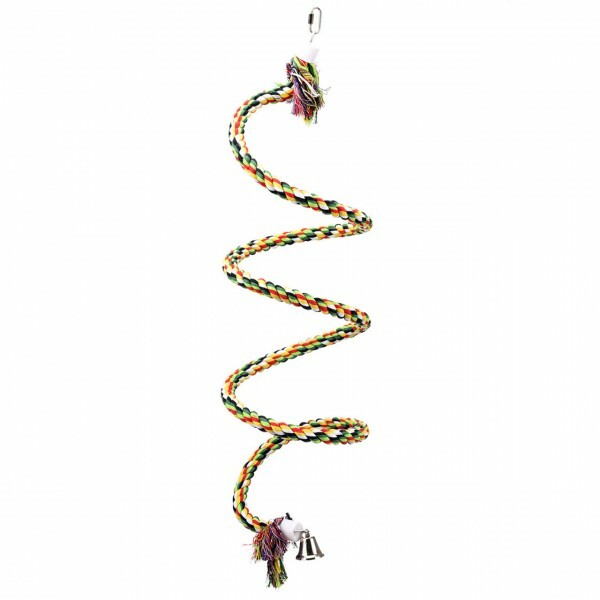 links "Bird Toy "Medium Cotton Curl" for Parrots"
customer reviews on "Bird Toy "Medium Cotton Curl" for Parrots"
Ist der neue Lieblingsspielplatz unseres Graupapageis. für meine Wellensittiche gekauft. Sie lieben es.